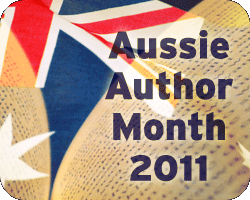 This week has been a bit slow at Book Thingo—my fault entirely as I haven’t been able to keep up with the reading, blogging, editing and link compilations—but Aussie Author Month continues to grow, with more reviews and contests around the blogosphere. 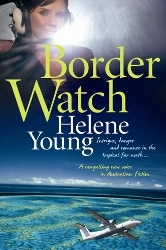 At Book Thingo, we reposted Decadence’s review of Border Watch by Helene Young. This book won the Australian Romance Readers Award for Favourite Romantic Suspense in 2010. 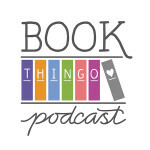 I also posted my much-delayed Mixed Bag for April, which features a variety of Aussie Authors that we haven’t previously reviewed at Book Thingo. Next week, look out for loads of author quickies—I have a backlog of them to get through and they will all be posted in April, so it’s going to be a busy fortnight. Also look out for book giveaways courtesy of some fabulous Aussie authors. Again, a quick reminder that, as part of Aussie Author month, we’re also promoting the Indigenous Literacy Project. I encourage you to support them in whatever way you can. If you’d like to make a donation, you may do so via Go Fundraise and help us reach our goal of $1000 by the end of the month. 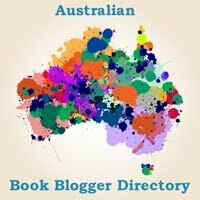 Participating blogs | Facebook | Twitter — #ausbooks | What the hashtag?! Finally, this one is more of a featured book. Ubby’s Underdogs: The Legend of the Phoenix Dragon by Brenton E McKenna has just been released. This is Australia’s first Indigenous graphic novel and is the first of a trilogy. In a dusty pearling town in the north-west of Western Australia, runs Ubby, a young ruffian who leads a rag-tag gang known as the Underdogs. When Ubby meets Sai Fong, a Chinese girl just off the boat from Shanghai. She finds herself thrown into a mysterious world of ancient legends and secrets never before exposed. Ubby is on the brink of becoming a hero unlike the world has ever seen, and must walk where most men dare not tread. You can find out more about the graphic novel here (click on the cover image to see a few frames from the novel). If I missed any links, let me know and I’ll include in the next round-up. Thanks for participating, everyone!